Inspire students to think and act like scientists as they observe seasonal changes in the garden. 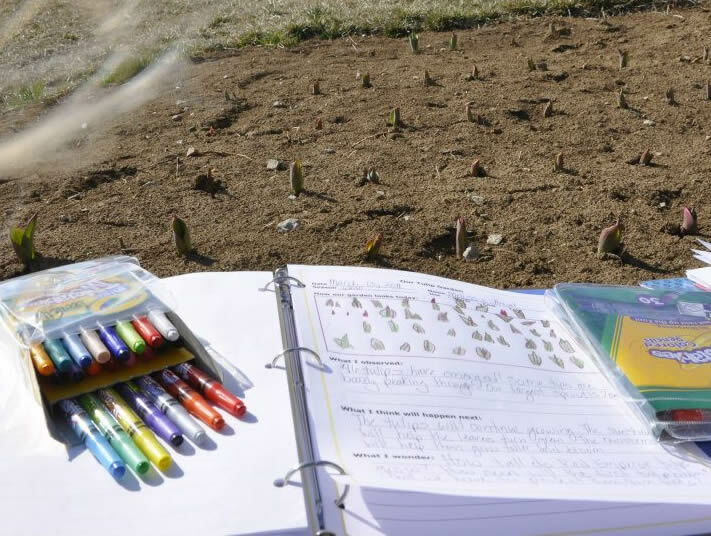 Use note booking sheets to record soil temperatures, measure growth, and draw and describe the garden. Provide a workplace where they can document discoveries and record questions.